Winter forest. 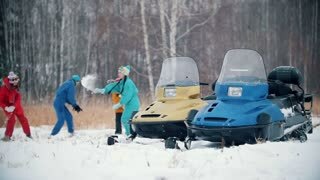 Family in colorful clothes playing snowballs in slow motion. 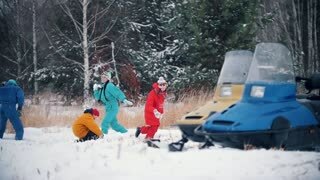 Snowmobiles on the foreground. Winter forest. Family in colorful clothes playing snowballs. 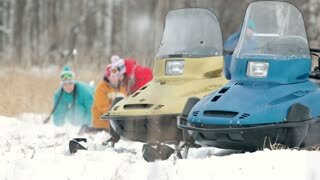 Snowmobiles on the foreground.